Descendant, Allan Bretag writes: I now have solid evidence that the Bretag name is a German version of the local Slavic "Brodak" of the Oder River region (the two are pronounced approximately the same way in German - bray as in a donkey's bray followed by tuck as in tuck one into its bed). Brodak means ferryman or sailor and most of our ancestors were just that - barge sailors on the Oder. The word consists of "Brod" which is a river crossing or ford and "ak" which means man as in other Slavic words such as "Rybak" (fisherman) and Polak (Polish man)." Wilhelm Bretag 34 and his wife Johanne Chistiane 36. Their children are listed as Ferdinand 13, Johann Wilhelm 9 (11 according to emigration permit), August 7 (born 2 October, 1847), Wilhelmine 4, and Johanna Christiane infant. Early records from South Australia show the arrival,3 September, 1855 and settlement of these immigrants. A son, Johann Friedrich Paul, was born in November 1856 at Hahndorf and a son, G.A.Friedrich, was born 16 July, 1858. Then on 21 October, 1859 "Christine Bretag, nee Kalisch, wife of Wilhelm Bretag of MtTorrens and Kanmantoo, aged 41 years and 5 days" died and was buried at Lobethal. According to her death certificate she died of cephalitis. 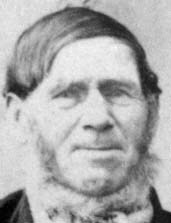 Wilhelm Bretag remarried and farmed in the Monarto and later Mannum district where he died 12 May, 1906 at the age of 85. 3. 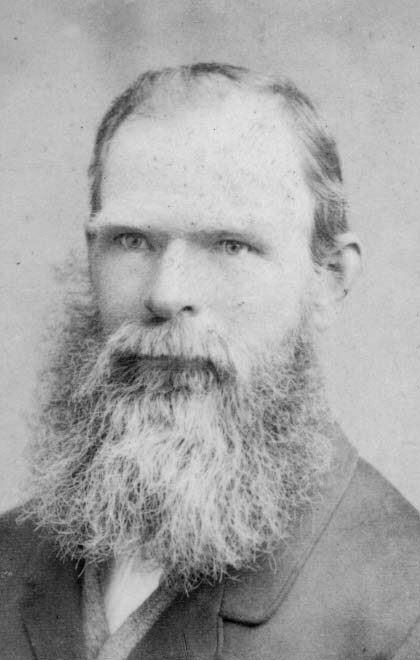 Johann Carl Wilhelm Bretag was born in Güntersberg, Germany about 1844 and arrived in Australia with his parents in 1855. He married Sophia Dorothea Lisette Kuse at Mt Gambier,30 October, 1868. She was born in Mecklenburg, Germany in 1849, a daughter of Gottlieb Kuse and Sophia Schmidt. After farming in South Australia the Bretags moved to Natimuk, Victoria - one of the first settlers - where he built a flour mill in 1874 in partnership with his wife's brother. The Bretags had nine children, Johanne Sophia 1869, Johann Bernhard 1871, Maria Wilhelmina 1873, Lydia Sophia 1875, Clara Wilhelmina 1877, Frederick 1879, Frieda Christina 1881, Johanne Hulda 1882, Johann Carl 1884. Sophia Bretag died of pneumonia13 September, 1885 aged 36. Carl Wilhelm moved back to South Australia, remarried at 46 and died 14 July, 1913 in Mannanarie. 4. Lydia Sophia Bretag was born at Natimuk, Victoria 5 August, 1875, her mother dying when she was ten. She married Norman Turner on 19 April, 1897.